I am quite sure that just about everyone has had some sort of dealing with social networks before. Well, with the $5.99 Social Sticky Notes, you will be able to bring what is virtual into the real world, and do bear in mind that a whole lot fewer people will have a look at it. 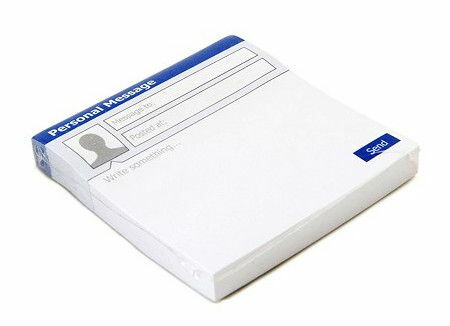 With the Social Sticky Notes, you can say what you would like to online, except that it will have to be handwritten. Yes sir, have you forgotten how to write the alphabet after getting too used to the keyboard? The Social Sticky Notes comes across as a well formatted, highly planned and executed personal message, where a message can be deemed to be similar to the online version, except that it is a whole lot more personal. Each purchase comes with 100 sticky notes to get you started.